As most small companies we have a few choices when it comes to producing our products. 1.) We can solder and mount components in-house. This is time consuming as the pick-and-place step takes time but with a solder paste stencil and a reflow oven it is workable. We can do series of up to 100 boards this way. We usually have six boards on a panel like this. 2.) We can produce and mount the boards in China. For a card like the one above we pay $1-2 for mounting so this service has a nice price. 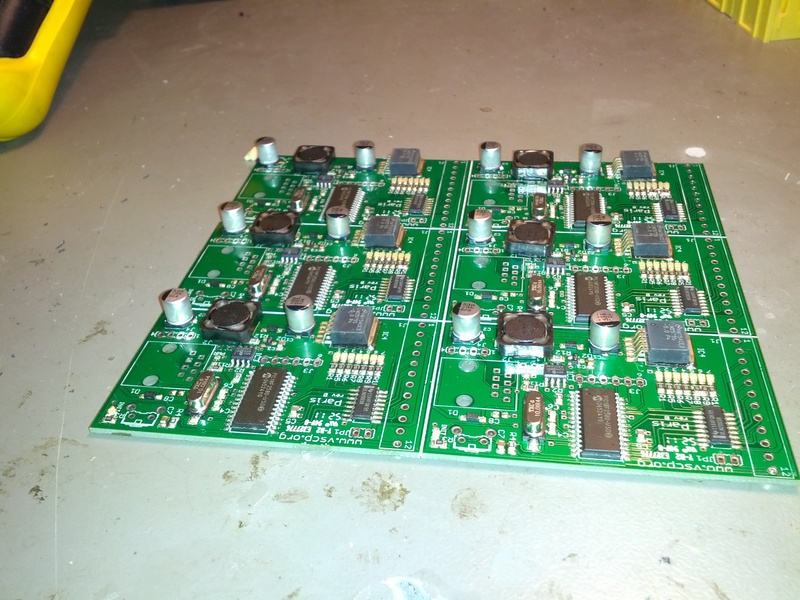 With small series we have to pay a higher BOM cost then we do when me mount them ourselves as we then can buy more components as many of them are the same over several boards. The big drawback is that we tie up money on boards that sit on the shelf.